With Valentine’s Day just around the corner, hearts are everywhere at the moment. Plus, I love to have craft projects at my disposal that my kids can get involved with. 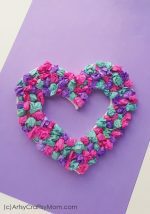 The best part about this craft is you can make the heart pencil topper as simple or as complicated as you like. Your toddler can enjoy sticking decorations on the heart, and older children will be able to complete the craft without assistance and can enhance it to practice some fine motor skills such as beading. 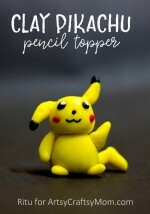 Heart pencil toppers are cute, fun and whimsical. 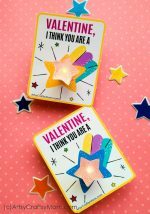 This easy heart pencil topper is the perfect kid craft for Valentine’s day – kids will love making them and have even more fun giving them to friends. Pipe cleaners or chenille sticks in metallic colors – shimmery reds, gold & copper. Fold the pipecleaner in half, then fold the long ends over the pointy middle to form M and pinch together to form the heart and twist. Position your pencil and start wrapping one side of the pipe cleaner around it. Repeat with the other strand to make your pipe cleaner pencil topper(note how you can criss-cross around or just wrap them). You can use a hot glue gun to secure them in place. Now remember these will stay on, but if played with, may fall off. Just pop them back on or if you can always glue them. 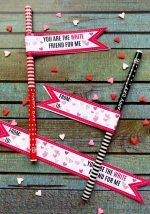 Turn your boring pencil into a fun little Heart Pencil with these cute little toppers. My kids had a blast making them. 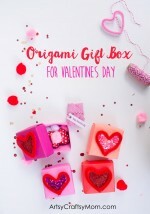 You can make hearts or even cupids arrow if you wanted to mix it up a bit! These also make super cute Fairy wands too! The best part is this little craft project is super inexpensive to make and guaranteed to add a smile to your little one’s face. What do you think of our Easy Heart-Shaped Pencil Toppers? 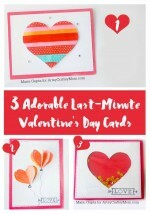 Don’t you agree that they make a lovely last minute Valentine’s gift?